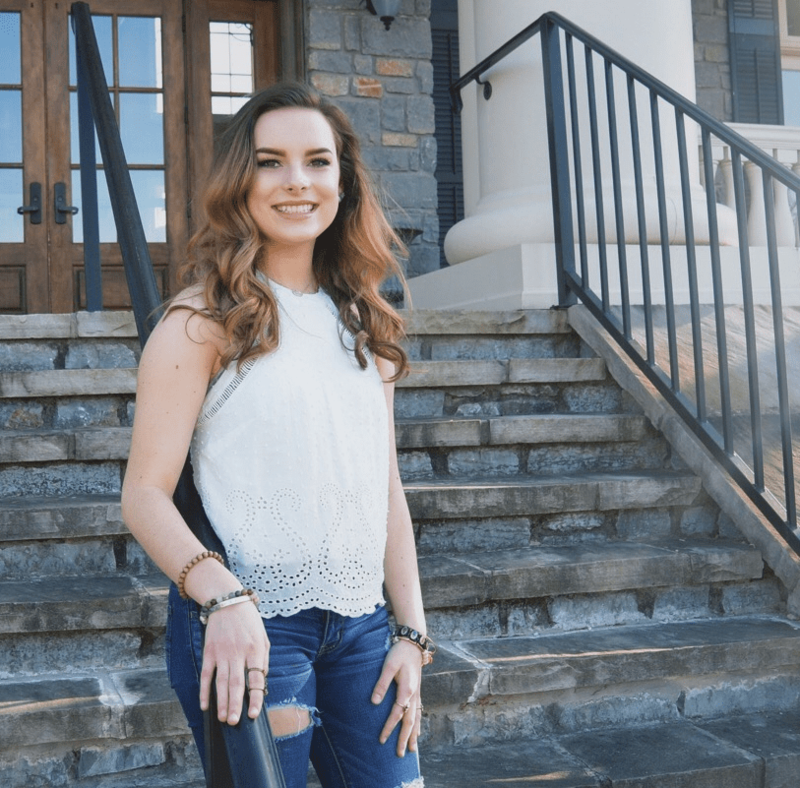 The Mollie Tucker Memorial Scholarship Fund was established by the Episcopal Church Women (ECW) of the Episcopal Church in East Tennessee to assist deserving females who are high school graduates or have obtained their GED and will need financial assistance to pursue a trade or college education. Based on need, grants of $2,000 each will be awarded annually to a high school senior of the Episcopal Church in East Tennessee. In 2018 we received four excellent applications from four extremely talented and dedicated young women. We’re happy to introduce our scholarship recipient below. MEET OUR 2018 SCHOLARSHIP RECIPIENT! Being the recipient of the Mollie Tucker Scholarship for 2018 is such an honor and blessing in many ways. I am so thankful and cannot wait to carry out my studies at East Tennessee State University. I plan on obtaining a B.S. in Public Health with a community health concentration and a global heath and development minor. I will hopefully be able to fulfill my passion for youth ministry during this time as well, whether it be in a youth minister position, or just helping out at summer camps such as Grace Point. After college, I would love to serve in the Episcopal Service Corps or the Peace Corps… or both! To me, winning this scholarship is the next step in living a life in service to God and people in communities all over the world. Once again, thank you so much for your contribution in helping me learn and serve! The Tucker Memorial Scholarship Fund was established by the ECW of the Episcopal Church in East Tennessee according to the ECW 2004 yearbook, “in thanksgiving for Mollie Tucker’s life and witness and for her many years of service to the Episcopal Church Women in Tennessee.” The financial award is intended to help recipients reach educational goals at accredited colleges or technical schools. Since 1988, more than 25 women in the diocese have been awarded a Mollie Hazen Tucker Scholarship. It is a one-time grant, currently $2,000, for one year only. The Scholarship is to honor Mollie Hazen Tucker for her faithful service to the Episcopal Church Women for many years: the example she presented to all who know her, her strong leadership in Education, Worship, Mission, and in the Church at Large. The Episcopal Church Women of East Tennessee give Thanks to God for her life and witness. The recipient of this scholarship shall be selected by a committee appointed by the president of the Episcopal Church Women of East Tennessee. This is a one-time grant for one year only, to be awarded each year to a female student. The deadline to apply for grants is May 1 of each year, (applications must be postmarked no later than the deadline). Winners are announced around June 1, Tucker’s birthday. If you would like to support this program of the Episcopal Church Women by making a contribution to the fund, please contact the ECW treasurer, Susan Bolt, TNBolts@comcast.net, 865-584-8173. 1. Applicant must be a confirmed female member of the Episcopal Church in the Diocese of East Tennessee, a high school senior or graduate and a candidate for the first year of an accredited college, business or technical school. Preference will be given to applicants exhibiting financial need. 2. Scholarship funds are confined to use for tuition, books, or a necessary school expense. These funds will be paid directly to the school or administered by the applicant’s parish priest or Senior Warden. 3. The applicant must file a written application and furnish one letter of recommendation from each of the following: a) her parish priest or Senior Warden if there is no priest available; b) a high school teacher, faculty member or employer. These items should be collected by the applicant and submitted to the Scholarship Chairman in one envelope. 4. Applications must be submitted no later than May 1st of the current school year. 5. The Scholarship will be awarded the first part of June of the current school year. Information, guidelines and applications for the scholarship are available from the Tucker Scholarship Chair Mary Lee-Baer, volswatcher@comcast.net, 423-333-0216.